St. Jacob's Storm Water Management Pond Cleanout - Capital Paving Inc. 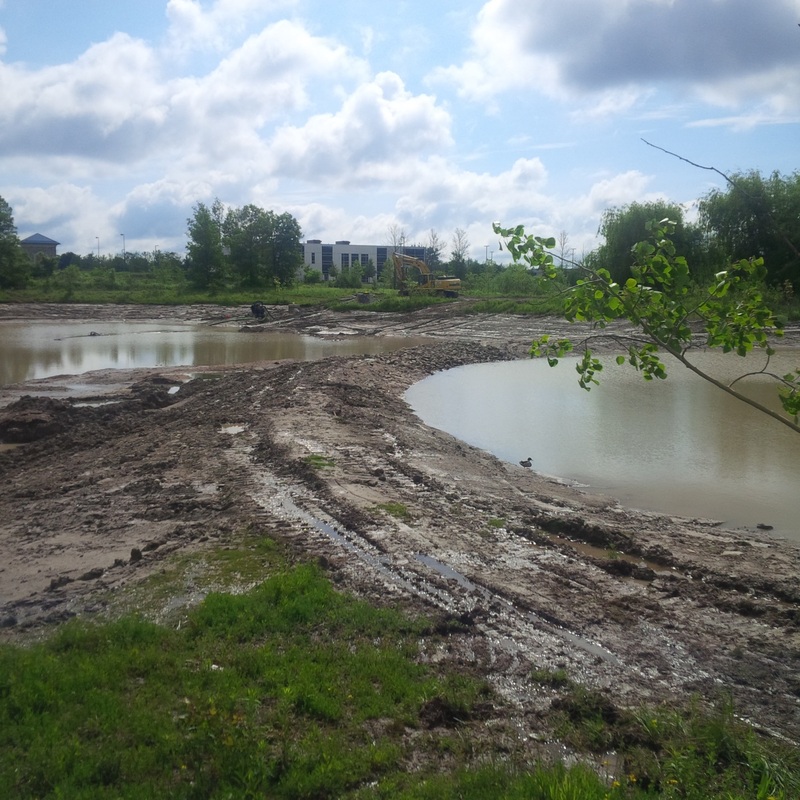 The work for this project included the dewatering and mechanical dredging of a 4 acre storm water management pond, including one main bay and two lower capacity forebays. Sediment had built up in the pond and needed to be removed to meet its original design capacity. The pond had to be continually de-watered in order to get equipment in the pond to do the work. 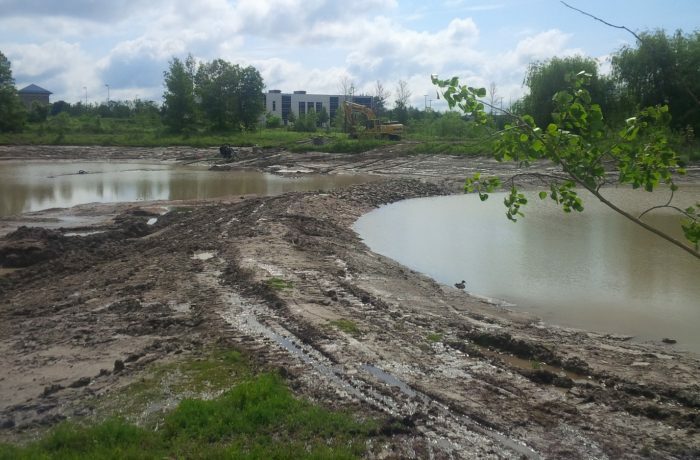 The major challenge on this job was the fact that the water from the pond had to be discharged into Forwell Creek, which was adjacent to the pond. Capital designed and constructed a Sediment and Erosion Control Discharge Area involving sediment bags, filter fence and straw-bales, which effectively stopped the flow of sediment into the creek. The sediment bags had to be routinely inspected and interchanged once at capacity. The logistics of storing and removing the material was also an obstacle. The material that is removed from the pond was quite wet and unsuitable for immediate haulage offsite. An area had to be constructed that was able to contain the material and allow is ample time to dry. A temporary access road was built so that 35t trailers could be backed up and loaded for the disposal of the material. All work was completed on-time and to the full satisfaction of the owner and their agents.